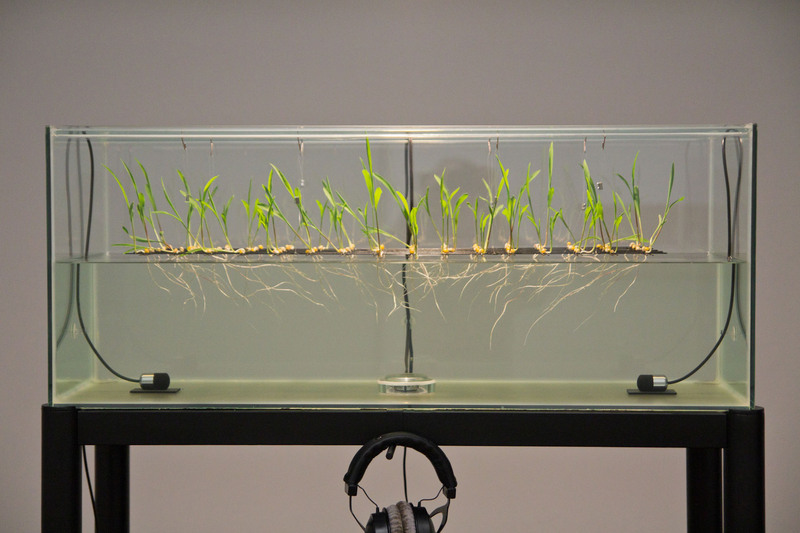 Biophonic Garden uses an experimental laboratory setup to display the possibility of making a dialogue between young corn plants perceivable for human ears. Sprouted corn seeds are arranged on a grid which is situated in a container filled with water. 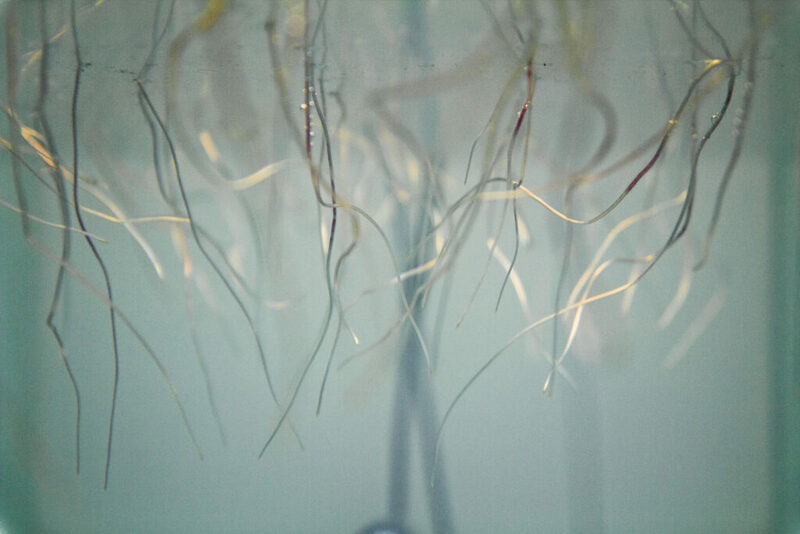 The acoustic environment beneath the seeds is picked up by underwater microphones, which allows visitors to listen to the dialogue between the young corn plants. While the roots of the plants are submerged in the water, a constant sine tone of 220 hertz is played into the water which has an influence on the growing process of the roots, they bend towards the sound source. 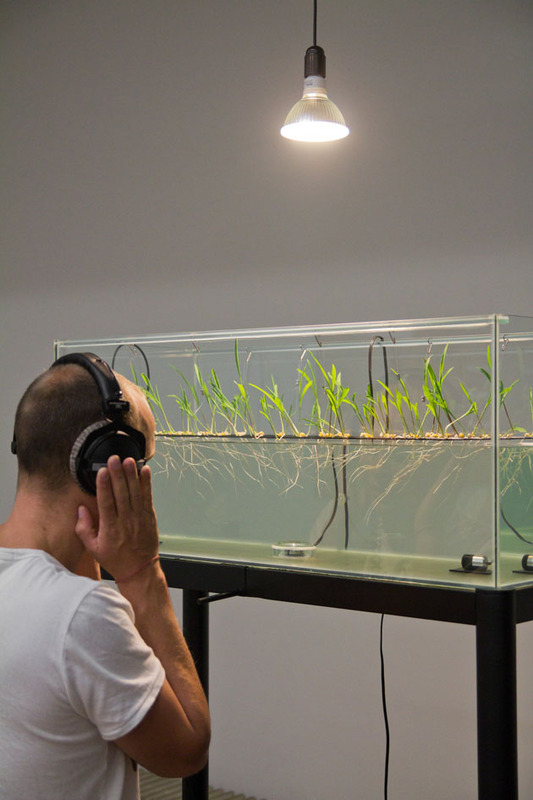 The phenomena of plants reacting to acoustic stimuli originated from scientific research into plant bioacoustics and is used in the work to raise questions about the communication of plants and the acoustic environment we humans live in.